Pga stor travlhed med kurser og undervisning kan vi pt ikke vedligeholde vores hjemmeside med nyheder. Venligst følg os på FB og bliv opdateret der. Mange tak for forståelsen. Auf Grund von sehr vielen Lehrgängen und festen Unterrichtsstunden können wir z.Zt. leider unsere homepage nicht so aktuell halten wie wir es gerne wollen. Bitte halten Sie sich über unsere FB-Seite informiert. Vielen Dank für Ihr Verständnis. Because of many clinics and lessons we are unfortunatly too busy to update our homepage as before. Please keep Yourself updated at our FB-profile. We are very sorry and thanks for understanding. At the 5-star showgrounds in Herning/DK we had a fantastic show. AK´s Crowney by Cartani silver tour: winning the 1st GP-Qualifier, clear in the 2nd GP-qualifier. Selma B winning the 1st qualifier of bronce tour, super ,super fast in the final with unfortunatly one down. So happy that all horses jumped good and all riders getting better and better. Next stop will be the CSI in Neumünster. AK´s Cavalina by Cachas - Chello I breeder Hans Karsten Ingwersen / Haselund at her first CSIYH with 3 ! clear rounds on difficult track. We all had super second week again at Absolute Horses in Sommersted. Konstantin changed Chandler with AK´s Cavalina so she had her debut at the CSIYH for 5 years. And what a debut she got : 3 clear rounds on very difficult courses and on extremly wet surface! AK´s Culcha Candela and AK´s Crowney had very nice rounds and learned a lot. Stine had super rounds with Smilla, Selma and Contini placed several times in top3 ! Unfortunatly she had an accident on the warm-up saturday and got hurt - so no LR Grand Prix to her. Check the kalender to find out if there is a clinic or training which could be interesting for You. We will give You a warm welcome at Künnemann Coaching & Consulting. What a week ! 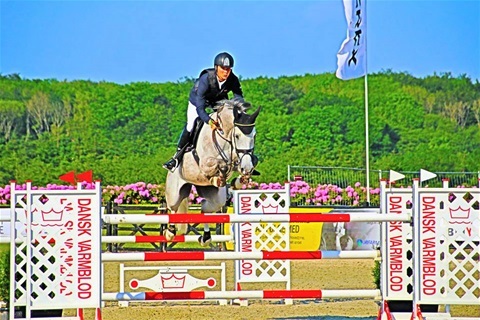 At the fantastic place of Absolute Horses in Sommersted we participate at the CSI**. 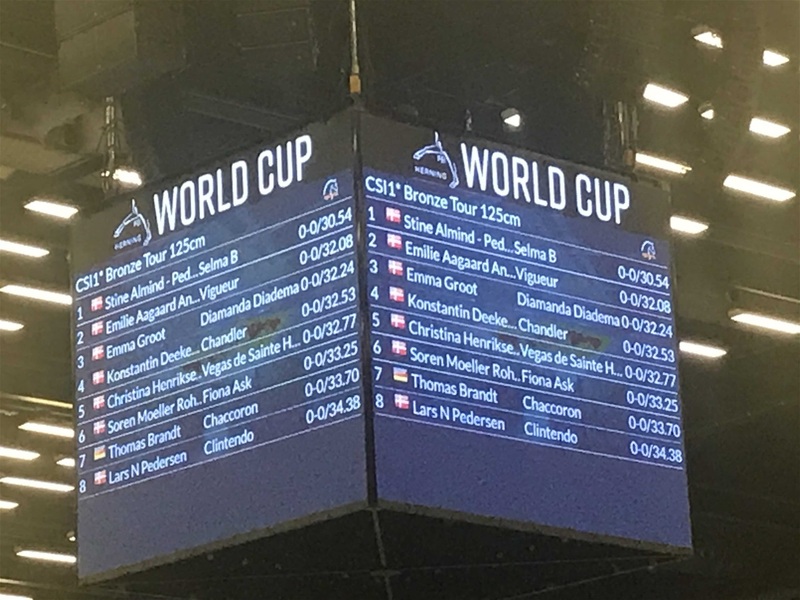 Alexandra Rambadt won the 1,20m qualifier and had several placings. Stine Almind Pedersen had several top placings. Konstantin several placings with Chandler . Other students had good rounds and several placings. The 1,20m final was something special with our riders at no 2 Stine, no 3 Alexandra and no 4 Konstantin....we had alot of fun ;) ! Now we look forward to week no 2 at the perfect facilities and hopefully with a lot of sun again..
Their was high tension under CSI ** GP LR ! What a weekend ! Lots of rain made some changes in the schedule..... All horses made fantastic jobs: Konstantin had super rounds with AK´s Culcha Candela and Chandler. 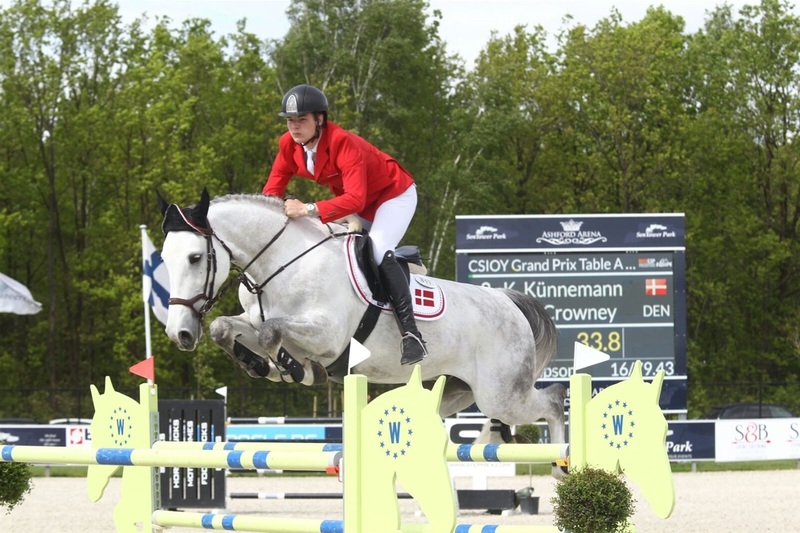 Stine had some top rounds and top 3 placings with Selma B, AK´s Quinnie and Smilla. Our students had all several good rounds on high level. Only 7 ! 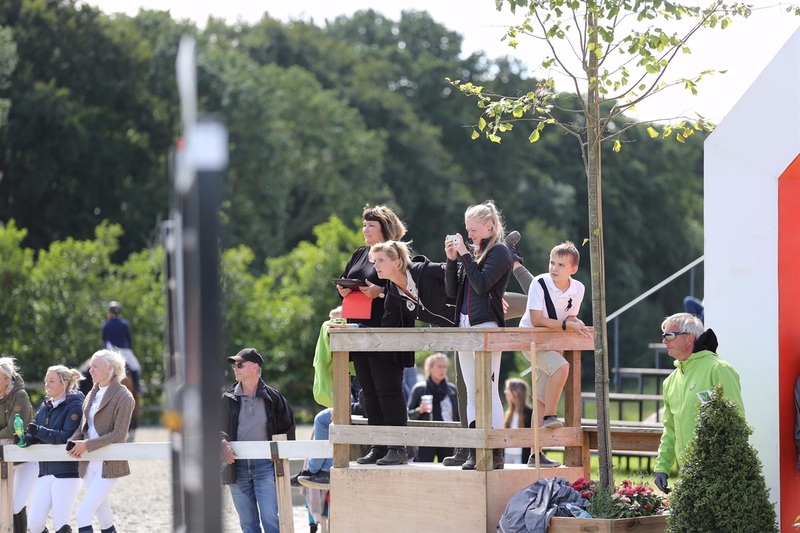 clear rounds Konstantin and AK´s Crowney 8th with 1 time fault and Stine with Contini 10th with 2 time faults ! Both earning WR points in their first WR-Grand Prix - we all are extremly happy ! The Nordic Baltic Championship in Hammarö/SWE was , from our ankle, like a rollercoaster. 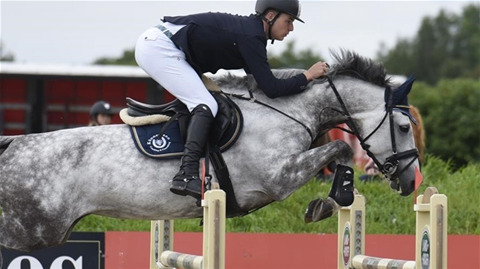 After 2 unbelievable clear rounds, where only the tie wasnt under control, Konstantin and his friend AK´s Crowney came as 4th best to the GP final on sunday. Anyway a very good week with super team mates , complete family and a horse You only can love and fantastic support of national coach Bo K Møller. 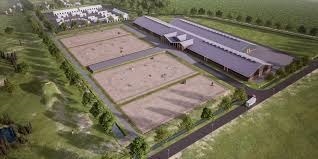 Now looking forward to Beervelde CSI** first weekend in august with 3 horses, Stine Almind and Lærke Olesen. 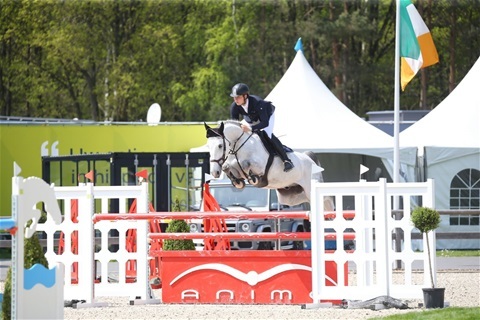 Konstantin and AK´s Crowney had a very good nations-cup at the CSIO Wierden/NL with only 4 faults at the very last fence. This shows will give both of them experience for the next season and more routine at the GP level. Thanks to Bo K Møller and Sofie Bucka´s family to take care about Kons while I was giving a clinic in DK. Stine and I had 2 very good international shows at Sentower Park /BEL and De Peelbergen/NL where she had a fantastic sunday last weekend in Kronenberg with a 11th place in the CSI* Grand Prix with Contini and a 3rd with Selma B and a 12th place with Smilla in the small tour final. Now we prepair to go with Konstantin and AK´s Crowney to the Nordic Baltic Championships in Hammarö/SWE . Than I think we need 2-3 days holidays. We wish You all a great summer ! 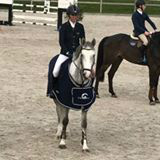 Absolute Horses hosted the 2017 Dansih Championships. A wonderful place with friendly people , super service and ,this time, very good weather. AK´s Crowney and Konstantin had a very good start in the championships but some misunderstandings in the final rounds made them ending as no 15 this year. AK´s Browney by Butler-Cassini I had 4 absolute dream rounds with 3 x clear and 1 down at last fence in the jump off. He showed so much capability and a super mind for our sport. 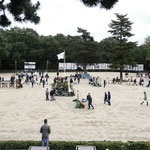 Konstantin and AK´s Crowney and Heinsgårdens Cosmea competed at the CSIO at Sentower Park in Belgium. A fantastic place with TOP facilities. In the warm-up they only had 1 time fault. In the nations-cup their was high pressure on allriders because the first to go fall off and was disqualified. With a lot of team spirit all gave what the could. In a tough GP Kons and Crowney only had 2 down and got a lot of expirience. Cosmea had a super 1,30m class where she was clear in the main round, unfortunatly she was sold out in the jump-off because of the warm weather. Big thanks to team leader Bo K Møller and specially to Stine Almind to travel with Kons all the way to Belgium and being a wonderful support. Next stop will be tha Danish Championships at Absolute Horses/Sommersted. 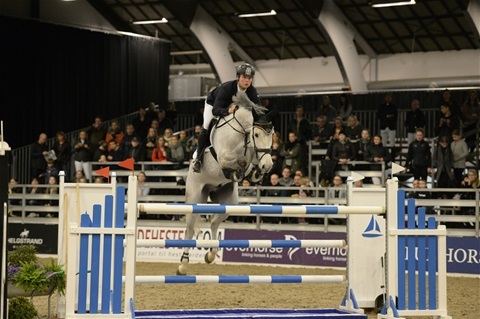 Konstantin had a good weekend with Heinsgårdens Cosmea (6th in 1,20m) , AK´s Culcha Candela (4 faults in very first 1,40m) and AK´s Crowney (4 faults in 1,45m GP). 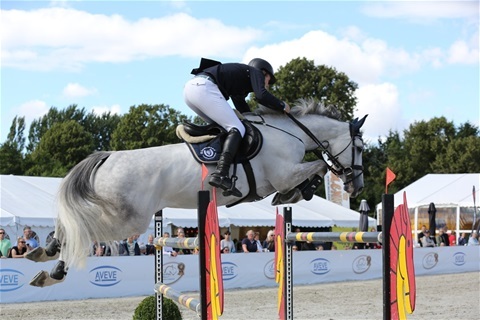 His next target is CSIO Opglabeek to compete in the speed classes with Heinsgårdens Cosmea and in the Nations-Cup and GP with AK´s Crowney. GOOD LUCK! Stine had also a faboulus weekend with AK´s Quinney (4 clear rounds from 0,80-1,15m) Contini (super rounds in 1,35-1,40m) and our premium girl Smilla B (6th and 1st in 1,30m)! She will follow Konstantin to Belgium to support him- big hug for that! AK´s Culcha Candela, AK´s Browney and Heinsgårdens Cosmea. Several ribbons and super clear trainings rounds are registrated. With AK´s Clowney he had a very good traings weekend with danish national coach Bo K Møller. Next weekend he will compete at Riders Cup. At the local show in Rønne my students won more than 50% of all classes (18 out of 32!) Congratulations to all of you! I´m very proud! Konstantin had a super show at Absolute Horses this weekend. AK´s Culcha Candela, AK´s Crowney and AK´s Browney had very good training rounds with several ribbons. Carrick got an infection on day 2 and get some hollidays now. Next weekend he will compete at Bækgården and participate at team training sesson with Bo K. Møller on saturday. 1x1. 3x3. 3x in the ribbons Congratulations! Now we are ready for the outdoor season!